Somnambulant Gamer: Is This the X-Wing We've Waited for? Is This the X-Wing We've Waited for? Star Wars is one of my favorite things (despite the prequels). When I was six years old, I would pull my brown corduroy game chair to the TV and put A New Hope in the VCR. I'd tuck pencils into the folds in the upholstery and pretend they were the controls of my X-wing. When the rebels attacked the death star, I would tip and rock the chair to mimic their maneuvers. For a while, that was as close as I could come to flying a starfighter. Then came the heady days of X-Wing, TIE Fighter, and X-Wing: Alliance. I could fly virtually any ship and could enlist to serve either Alliance or Empire. Since then, I've waited for another game in the series to surface. While the Rogue Squadron series lightly scratched that itch, it put me on too short a leash. My wait has been long, but might be ending soon. 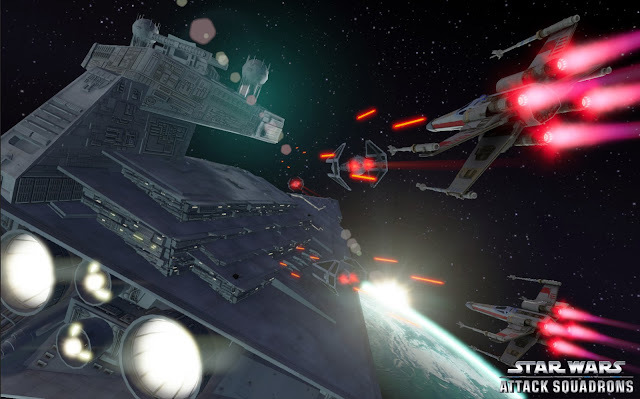 Disney revealed their latest Star Wars project, Star Wars: Attack Squadrons recently. There is precious little information on the game as of yet, just a short summary, a few early screens and a pre-rendered trailer. It's too early to say if this is the successor I've been hoping for, but Disney is accepting Beta applications. The trailer suggests it to be something akin to World of Warplanes or War Thunder. 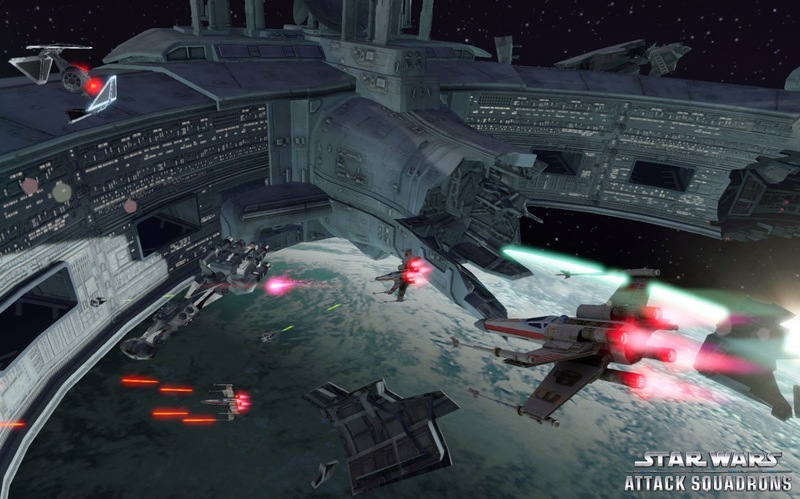 A dogfighting MMO with a Star Wars theme. The trailer seems to hint that players will be able to fly not only fighters like the X-Wing or TIE Interceptor, but larger ships such as the YT-1300 and the Firespray-31. Three modes have been announced so far; the standard Free for all and Team deathmatch as well as a Base Defense mode probably involving destroying the opposing team's capital ships. The site states players can customize their ship's appearance as well as modify their performance. While I'm excited to hear this news, I can't help but remember how disappointed I was in X-Wing Vs. TIE Fighter. The huge campaigns I loved so much in the two original games were ripped out in favor of a multiplayer focus. The online environment have changed a lot since 1997, and the whole architecture of a multiplayer game is much less difficult to wrangle. I won't get a single player campaign experience from Attack Squadrons either, but knowing how much I've enjoyed WoWP and War Thunder, I think I'm okay with that. The announcement of Attack Squadrons leaves me on shaky ground. It's easy to expect too much. From the current site, I can make a few educated guesses, but the real content and quality of the game has yet to be seen. My knee jerk reaction is to shout "HOORAY NEW X-WING FO EVAAARRRRRRR!!" As awesome as that feels, it's still way too early for all that excitement. The game was just announced, after all. I desperately want Attack Squadrons to succeed. There is a huge following for the X-Wing series. 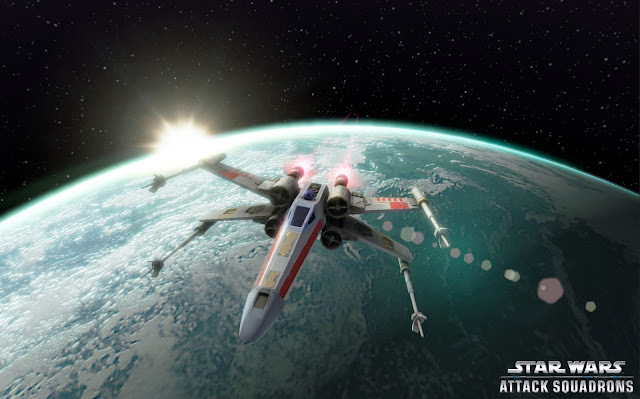 There are still active multiplayer clans for X-Wing: Alliance out there. I worry that as good as Attack Squadrons may end up being, as high praise as it may earn, that praise will always be appended with "but it's no X-Wing." Fans like me may have to learn to let go of our preconceptions a little bit on this one.